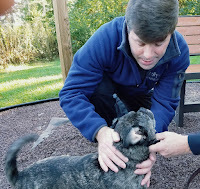 Sunday October 7th –9:30 AM &12:30 PM - Individual Prayers / Blessing of Animals in outdoor chapel area across parking lot from church upper entrance (weather permitting) - part of our remembrance of St. Francis of Assisi. Bring your safe and well mannered (relatively speaking!) 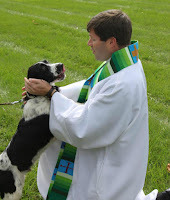 pets and join us anytime between 9:30 and 10:30 or 12:30 and 1:30. There is plenty of space to spread out if there is a little bit of a wait. This time together may include individual conversation, prayer, and blessing as well as photo ops. Our dog friends will also receive, according to wishes of their owners, treats and lots of love and attention from Pastor and our youth. This is also a great opportunity to meet new people in the community and some very special members of their family. – small animals should be in containers / cages and dogs should be leashed. See you Sunday!